If you are familiar with computer parts and assembling them you are certainly aware that a major impact can happen to the overall system performance by just a minor hardware upgrade. Speeding up an old computer is possible through several hardware upgrades. Adding a new processor can fulfill the mission, although that often turns into a new set of hardware upgrades, such as a new motherboard, a new memory, and mostly a new power-supply as well. If you are a gamer a new graphics card is often the answer. But two of these purchases are the most effective and easiest: An SSD and RAM memory chips. 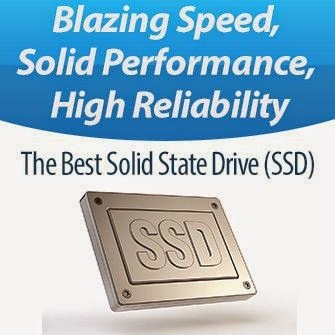 Probably the most effectual procedure to boost up your system is to move from a mechanical platter-based hard disk drive (HDD) to a solid state drive (SSD). However, adding extra RAM memory chips can also decrease the boot-up time, get the software applications to launch faster, and maintain more programs open at a time without harming the performance. You may ask then, why would that happen? And the answer will be that when your computer is able to fit more data into memory it requires the CPU to make fewer trips out to the much lesser-in-speed storage device for the needed information. This can be well comprehended by many computer users if they still use the traditional hard disk drive (HDD), but what if the user already uses an SSD instead? Can adding more RAM help in any way accelerating its functionality? Or is it better to save the money and go for a higher-end graphics card? How impact does more memory have on write operations? The result took us by surprise. In essence, there is no such thing as too much memory in a desktop with solid-state storage. The more RAM you add, the better off endurance looks, and the more I/O performance you get from the storage subsystem. It has been explained above why this step would increase the I/O performance of the storage subsystem, but what has this to do with the endurance of the SSD? It must be understood that writes are what consume the endurance of solid-state drives, so anything done to dwindle them will result in the expansion of the useful life of the inner NAND flash. Tom’s Hardware ran three little quick tests using Autodesk’s 3D Max 2012, Adobe Photoshop CS6 and Microsoft Visual Studio 2010, and they observed an average reduction of 45% of writes on the SSD which is considered a huge amount of data that has never got processed outside the main memory.